Dr. Alissa K O’Brien grew up in Jupiter, Florida, and graduated from the international baccalaureate program at Suncoast High School. While earning her undergraduate degree at the University of Florida, she studied reef sharks in the Bahamas as a college research project. 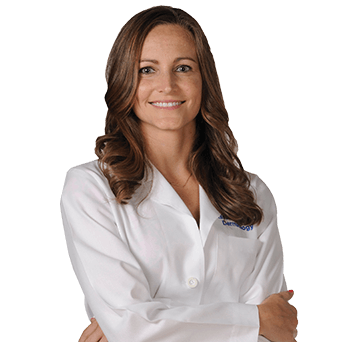 Dr. O’Brien also received her medical degree and completed her dermatology residency at the University of Florida College of Medicine in Gainesville, where she served as chief resident. Dr. O’Brien treats patients of all ages, including children. She is the co-director of Jupiter Medical Center’s Cutaneous Oncology Program and is an affiliate staff member at the hospital. She is also a courtesy clinical assistant professor at the University of Florida Department of Dermatology.